You know what to expect when it comes to a Chinese New Year movie: some laughs, some feel-good moments, a happy ending — and, as is increasingly the case with local commercial films, copious amounts of product placement. 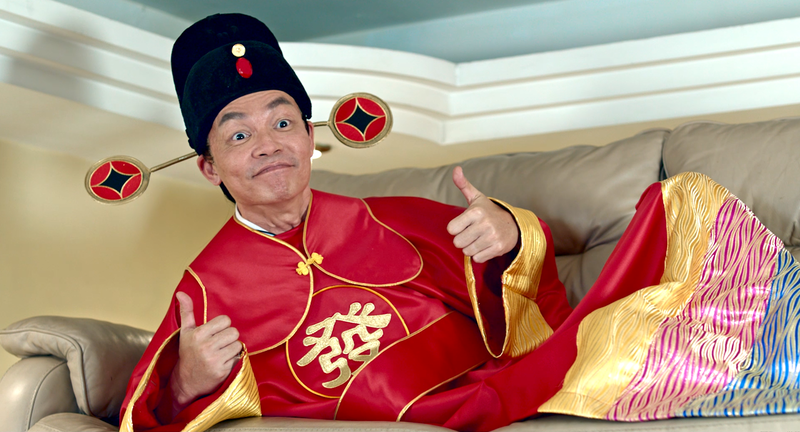 And The Fortune Handbook, directed by Kelvin Sng (Taxi! Taxi! ), sticks to the formula dutifully. In the film, Mark Lee plays the Huat god, a fortune god-in-training who needs to earn his way to the position by getting people to worship him. He and other apprentice fortune gods get people to worship them by granting wishes, to the best of their ability. 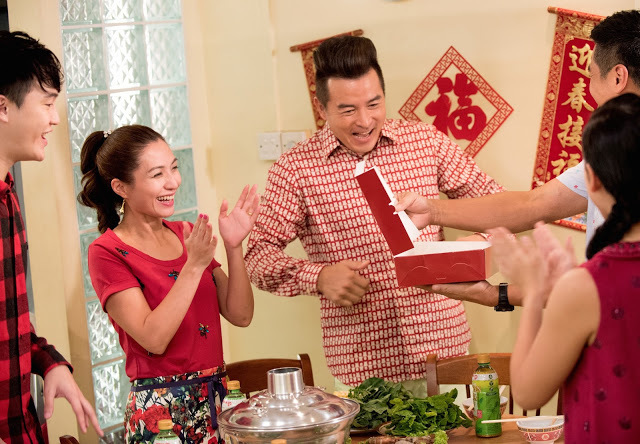 He winds up in a household comprising Soh Hock (Christopher Lee), a good-for-nothing bum; Ah Zhen (Vivian Lai), Soh Hock’s wife; and their perpetually squabbling son and daughter and starts fulfilling their hearts’ desires. Soh Hock doesn’t get along with Ah Zhen’s hardworking brother, Hao Xing (Li Nanxing), who runs a successful pastry business. Deep in debt, Soh Hock tries to steal Hao Xing’s secret recipe for his Teochew pastries, hoping to sell it off and make a windfall. When he fails, he decides to enlist the help of the Huat god to turn his fortunes around. Many plot elements in The Fortune Handbook make no sense. Why does one wish granted by the Huat god override another? (And I can't go into specifics without giving away big plot details.) If the fortune gods can travel freely to anywhere they desire, how do they get “caught” by an ipad app, and why do they have to be tethered to particular place? If Mark Lee wants to get people to worship him, why does he require Soh Hock to help him distribute flyers to get the word out? Why can’t he get out on the streets and start performing miracles? The Fortune Handbook is so heavily riddled with internal inconsistencies that it’s best to stop trying to make sense out of everything. Logic may be in short supply in The Fortune Handbook, but not so product placements, which are shoved in audiences’ face aggressively. 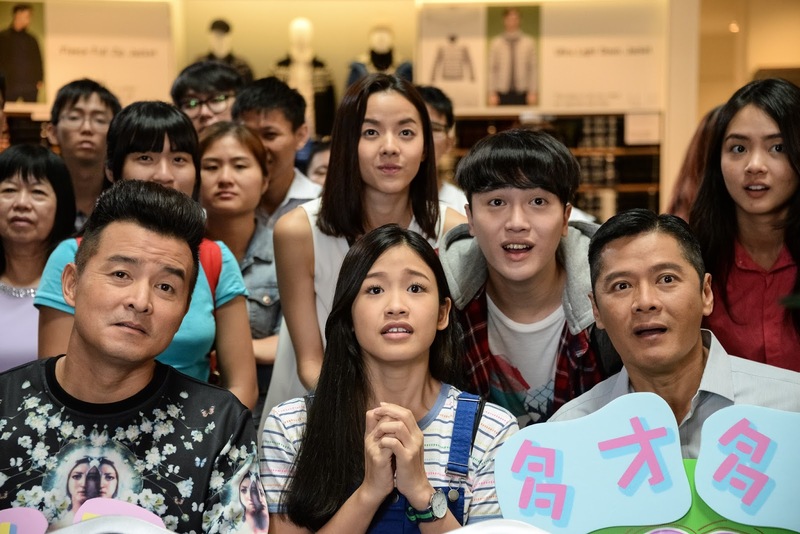 In one particularly shameless sequence, Vivian Lai’s character even breaks the fourth wall to wax lyrical about a particular product to the audience. Despite all the film’s shortcomings, it was still a largely buoyant affair thanks to the commitment of the cast. The high jinks in the movie are performed with such energy that it’s hard not to crack a smile here and there, and Christopher Lee’s Soh Hock, with his over-the-top antics (and compulsive hair-spraying), is a hoot to watch. Some individual segments, such as a beauty pageant scene, score high on the laughs-a-minute meter. The movie carries such a joyous spirit throughout its run time, bouncing from crazy skit to crazy skit with such infectious energy that it’s hard not to enjoy and be entertained by it at parts. It’s ultimately still just your typical local CNY movie — that is, not a very good movie — and it certainly tanks hard in the storytelling and coherence departments, but at the very least it doesn't over-promise, and delivers on what it sets out to accomplish: offer a few laughs and moments of warmth. The Fortune Handbook is still showing in cinemas. Check out our STOP10 Jan 2017 article on The Fortune Handbook, featuring an interview director Kelvin Sng.